After breakfast at your hotel in Kampala, you will meet a tour guide from AA safaris and tours who will brief you about the tour and then drive you to Bwindi Gorilla National Park. You may to stop at the Equator if you wish to before you can proceed to Mbarara or Kabale where you will have your lunch from and then continue to Bwindi National park. Dinner and an over night will be at the lodge of choice in Bwindi depending on your budget. 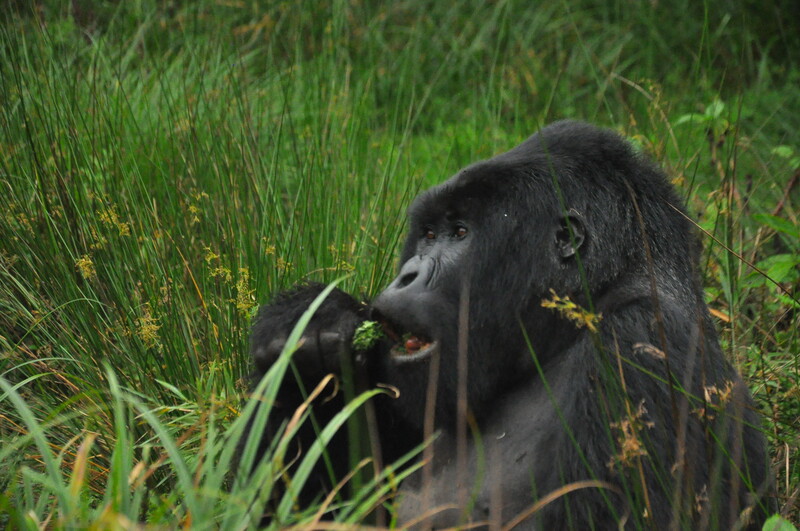 You will have an early morning breakfast and then go for briefing at the gorilla trekking headquarters before 8am. The guide will drive you to the UWA offices for briefing before you can go for gorilla tracking which might take 2 to 7 hours therefore you have got to be ready for these long hours but an encounter with the gorillas will be worthwhile. You will have an hour to spend with the gorillas, sit with them in the jungle and see how they take care of their young ones before you go back to your lodge for dinner and over night. 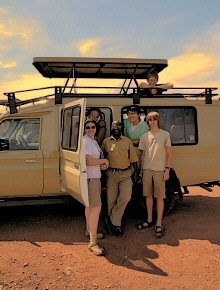 Day 3; Transfer to Rwanda’s Volcanoes National Park. After your breakfast, you will transfer to Rwanda to Park Des Volcano in Rwanda. You will have to cross the boarder there you will be required to clear and pay your visa fees. (It is very important to remember that you need a confirmation letter to get a Rwanda visa and therefore you are advised to contact the Rwanda consulate in your country to check for procedures of how to apply for Rwanda visas online to acquire a confirmation letter which will enable you get a visa from any Rwanda boarded). You will drive to your lodge for your dinner and spending the night. Midrange; Lake Bunyonyi overland camp, Arcadia cottages. Day 5; Transfer back to Kampala or Kigali. After breakfast and you will travel back to Kampala and will have a lunch en route.